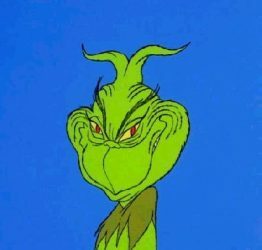 How The Grinch Stole Christmas (1966) was a delightful 26 minute long Christmas Special that ranks near the very top for Christmas Movie excellence. Any remake of this masterpiece that is longer than 35 or 40 minutes is destined to run into trouble. It is inevitable that the 55+ minutes necessary to make a full-length movie will be filled with unnecessary and annoying crap. After the remake in 2000, I was convinced that this folly would never be undertaken again. I was wrong. 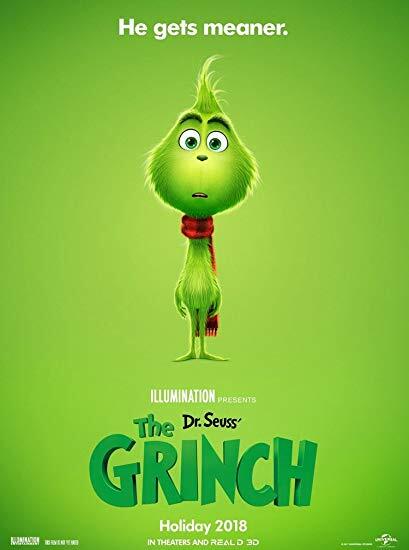 Dr. Seuss’ The Grinch (2018) was horrible. Right out of the gates, I knew this movie was going to be bad. Thurl Ravenscroft’s perfect rendition of The Grinch Song is an impossible goal to duplicate. Tyler, The Creators low key and droning hip-hop version made me want to walk out of the theater. Oh, and Pharrell Williams was no Boris Karloff either, but why state the obvious? Fighting my outrage, I was determined to not flee the Metrolux in disgust. Yes, I did watch the entire movie. Congratulate me on my courage. The movie started with Mr. Grinch realizing that he had run out of food and must make a dreaded visit to a geared-up for Christmas, WhoVille. I mean, it’s no wonder that The Grinch hated Christmas in that he was immediately stalked and chased by a horde of Christmas Carolers. They were creepy and might as well have been a group of zombies, lusting after his flesh. The Grinch mingled and shopped, without as much as a turn of the head from the Whos. Who is surprised? This Grinch was not scary at all, he even had rows of straight, white teeth, unlike the real Grinch. After the inevitable encounter with that little snot, Cindy Lou, the Grinch retired to his kingdom to pout and fret about Christmas. Everyone who has seen the original knows the story. 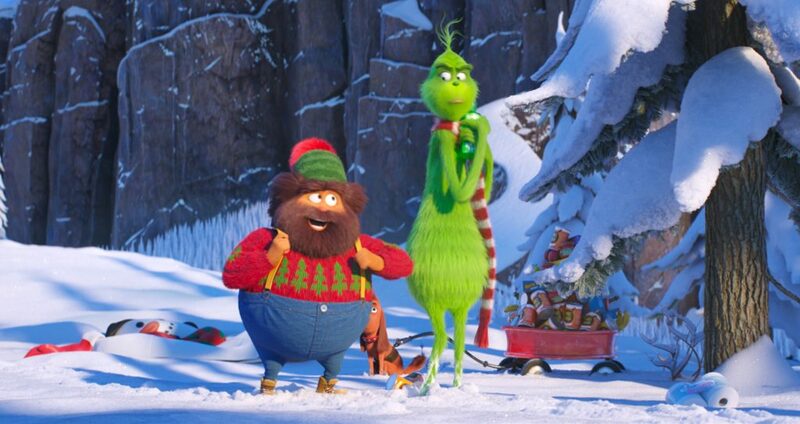 The Grinch plots and plans to steal Christmas, only this time not only with his sidekick Max, he had also recruited what looked like a musk ox with an eating disorder. There was also an inexplicable side plot with Cindy Lou, who for some reason wanted to capture Santa Claus. I won’t spoil it, if you are unfortunate enough to have to watch this needless and lackluster movie. Of course, in the end, the Grinch experienced redemption and everyone lived happily ever after. 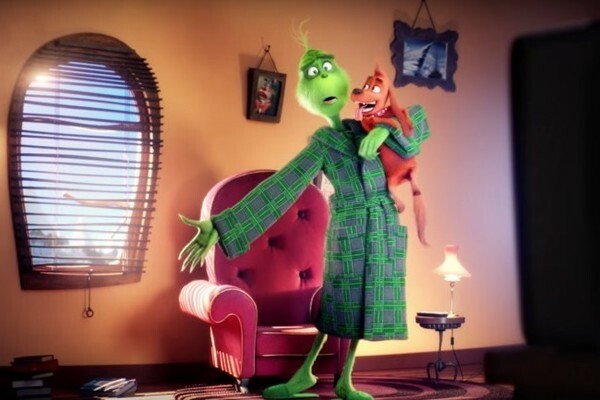 So, having watched this Illumination version of The Grinch, how does it stack up to the other two versions? What went wrong? Except for the animation, which was only decent, just about everything. The Grinch was nothing as depicted in the original classic. He was polite, had straight, white teeth, and was feared by no one in WhoVille. I mean, he wandered about, bought groceries and attracted very little attention. He was just that boring. As far as his blackened soul and tiny heart goes, this Grinch was a pushover. I mean, he apologized to Max for hurting his feelings! WTF was this all about? The 2018 Grinch did everything but lick Max’s balls-Not acceptable! Jim Carrey did a great job as the Grinch in the failed 2000 version, and at least there was a lot of mean-spiritedness and selfishness with both the Grinch and the Whos. This was, of course, before Cindy Lou destroyed the entire movie as the most annoying Christmas character ever. This was typical Illumination fare, bland, boring, and completely unnecessary. The narration was uninspiring and lame, the music was a joke. 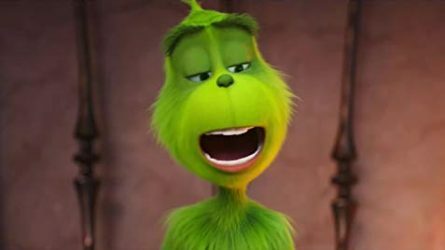 This Grinch movie was not funny or clever at all, it was just another holiday cash grab. As Kevin would say: Ask for all your money back and a written apology for wasting our time with this failed mess. 1.5/10.0 with the Goatesian warning of AVOID.